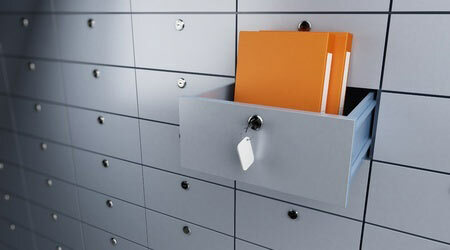 The safety of classified information requires specialized storage, including vault systems and vault doors meeting specifications laid down by the General Services Administration (GSA). At International Vault, our product line includes multiple GSA rated modular vault options that meet or exceed GSA and Military Handbook requirements for the storage of classified information. Our modular approach provides the ability to customize for any circumstance while maintaining strict adherence to required specs. Federal Specification AA-V-2737 covers all of our GSA Rated modular panel products, including our MegaCrete, MacroVault, and Lightweight Vault offerings. Federal Specification AA-V-2940 covers our pre-assembled modular armory product. Federal Specifications AA-D-600A and AA-D-600D cover our GSA Rated, Class 5 vault door, the Scimitar. Because we can build modular vaults in any size and configuration, from the use of lightweight panels to slab-on-grade Class A vault solutions, International Vault is the industry leading choice for classified information storage. International Vault also meets the Minimum Construction Requirements detailed in the Military Handbook MIL-HDBK-1013/1A, section 5.4 (pages 105-108) for both Class A Maximum Protection and Class B Adequate Protection vaults. Finally, International Vault is the only company in the world making a lightweight modular panel meeting GSA certification. To learn more, use our contact form, or call us on 1800 465 656.